New Hampshire Issues Quarantine on Ash Wood and will be inspecting firewood at this weekends NASCAR race at New Hampshire Motor Speedway. 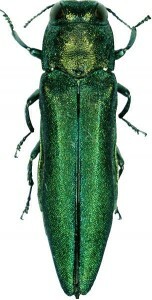 A non-native insect that has claimed the lives of millions of Ash trees in the Midwest has been found in New Hampshire Ash Trees as of March 2013, according to nhbugs.org. They were first discovered in Concord, Canterbury and Loudon. The species responsible for this widespread damage is known as the Emerald Ash Borer. It originated to the United States in Michigan, suspected to be on the wood that was used to support shipping crates from Southeast Asia, its native territory. The discovery of the Emerald Ash Borer in New Hampshire has put the state on alert, specifically Merrimack County, and forced quarantine on Ash products from out of state. This includes Ash Firewood. This Emerald Ash Borer can kill an Ash tree in an average of 3-5 years, making them fast acting, and very dangerous to our precious Ash population. It is estimated that there are over 25 million mature Ash trees in the state and it is a very important product in the forestry economy. Approximately 500 million board feet of Ash logs will be produced in our state according to the UNH Cooperative Extension, making it even more important to protect and preserve our population of this precious tree. Furthermore, if infestation reaches dangerous heights, “treatment, removal, and replacement of dead and dying ash trees will be expensive costs for the state, municipalities, and landowners of New Hampshire” (UNH Cooperative Extension). Quarantine has been issued for Merrimack County at this point. Please help prevent the spread of this invasive beetle and protect New Hampshire’s Ash population, forestry economy and wood product economies.